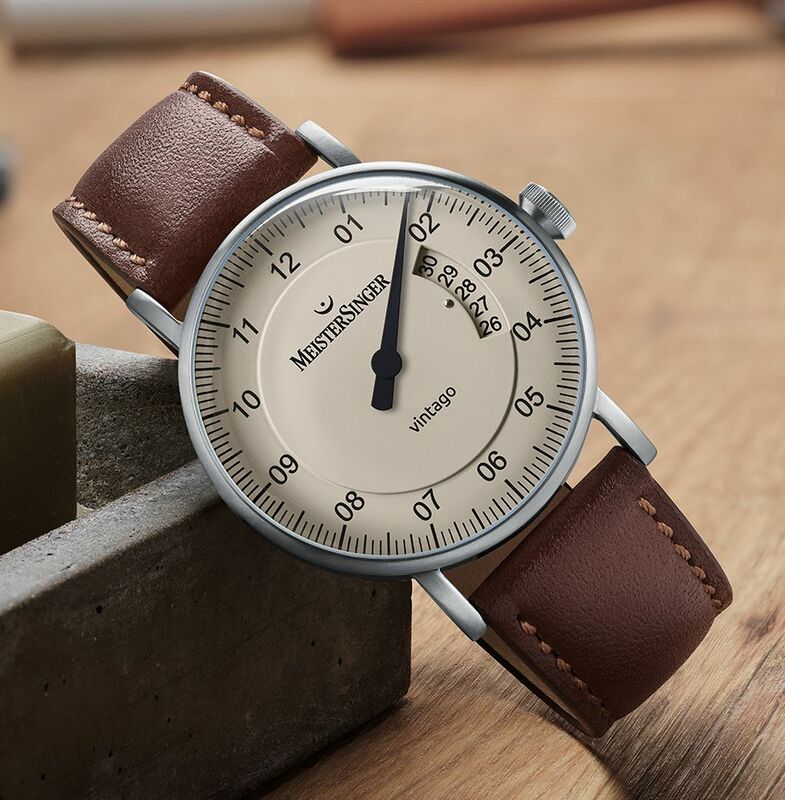 The case, in stainless steel, measures 38mm. 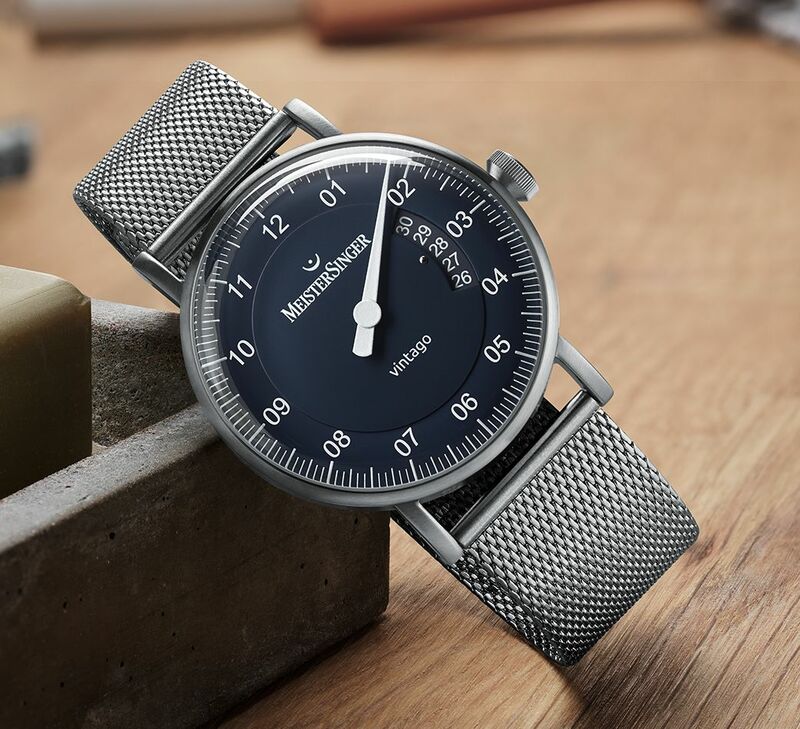 It has a domed sapphire crystal, a display back, and it is water resistant to 50 meters. 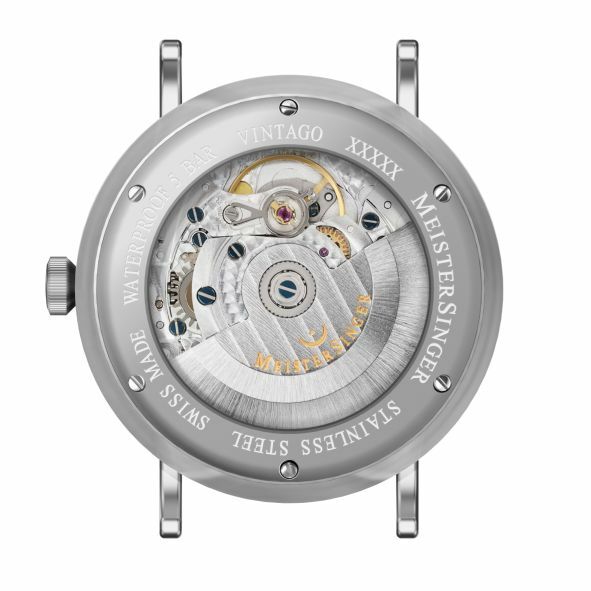 Movement is the Swiss automatic Sellita caliber SW200-1 with 26 jewels, 28,800 vph and a power reserve of 38 hours. The multi-level dials can be had in opaline silver, ivory, black, or blue. Curved hands. 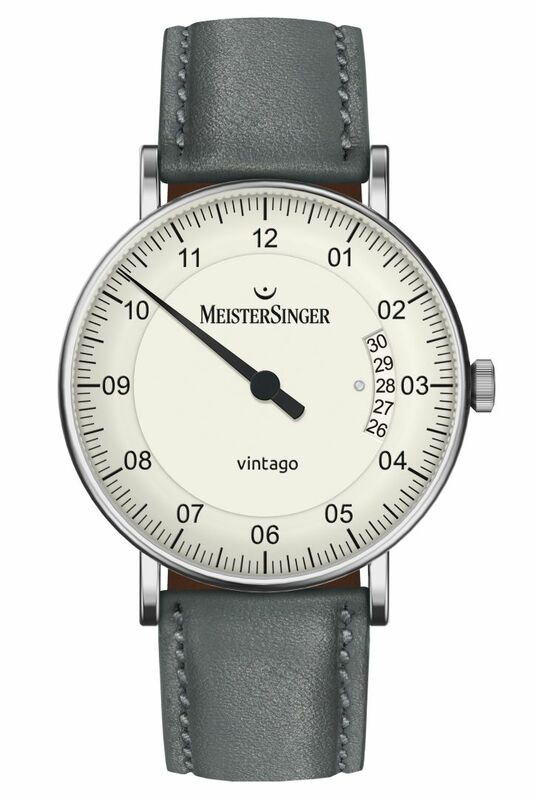 The wearer has an overview of five calendar days and a small dot marks the current date. 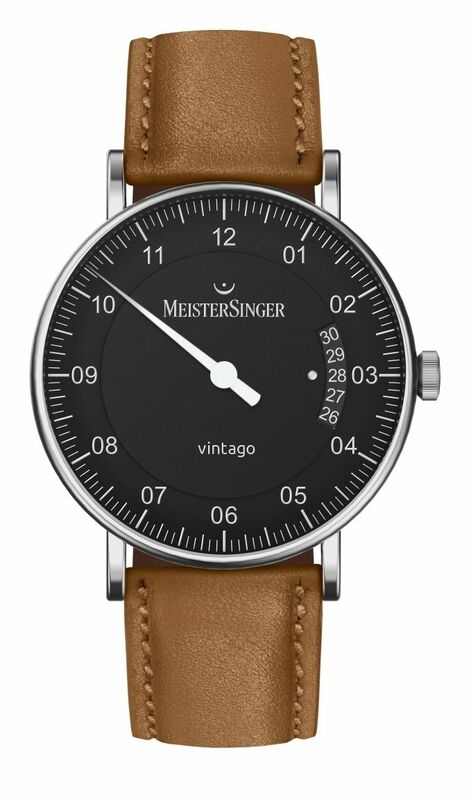 It comes on a black, blue or tan calfskin leather strap with steel buckle.